aiyden has no other items for sale. Details about Tom Ford Private Blend - 100% Authentic Sample! Tobacco Vanille and many others! 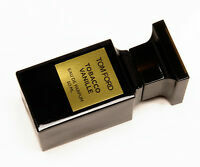 TOM FORD TOBACCO VANILLE 8ml 10ml Sample Spray Authentic !! Excellent product. Fast shipping. Thanks. Item arrived on time and quality was as advertised. Great seller. Always one of my favorite scents. Great seller. Fake. Review not negative b/c when called on it, refund was immediate. Good fragrance. Well shipped and labeled, as always. Thanks.